Turn your experience, expertise and passion into a profitable coaching business. The 4 key areas you must set up in the beginning to be able to sell your coaching over and over. The 21 most essential tasks to prioritize when you are starting out. Where to start, what to do next and the most efficient and effective order to do things in. Stop wasting time on shiny objects – here’s what to focus on that makes a difference to your bottom line. 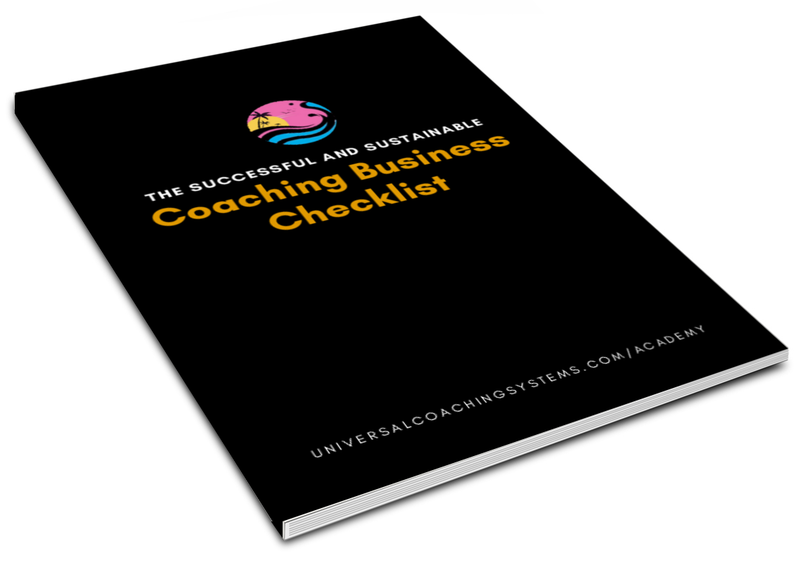 Today, everyone wants to be a coach, so discover the essential systems and strategies you need to be successful in today’s increasingly saturated coaching marketplace. How to cut out the noise, focus, and build a coaching business right the first time.